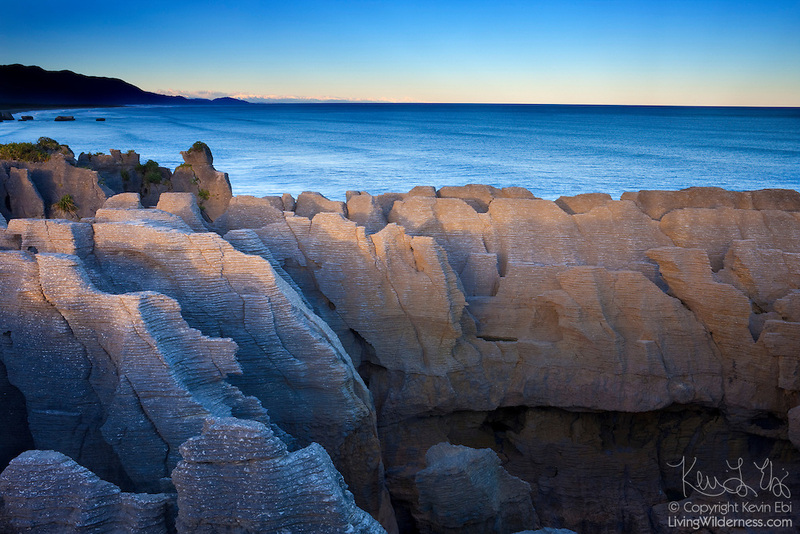 The Pancake Rocks, located in Punakaiki on the West Coast of New Zealand, are layered columns of limestone, somewhat resembling stacks of pancakes. Geologists are not certain of their origin. New Zealand's Southern Alps are visible on the horizon.